LookLocalWA's Perth directory puts you in touch with Pergolas specialists near you. Installing a pergola in your outdoor area is a perfect way to transform your backyard into a relaxing place for you and the entire family to escape to. From custom built pergola designs to custom built creations, choosing a local business in WA to help build and Install a pergola is a perfect choice for your family home. From creative, Bali-inspired pergolas to more traditional flat or dome pergolas, choosing the right style of Pergola to suit your outdoor area is important. 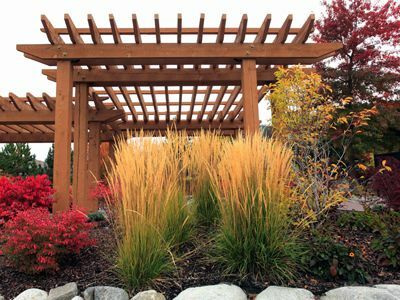 Your local pergola supplier can assist you with any design questions or ideas that you may have, providing expert opinion each time. If you need assistance with pricing or quotes in your local area on pergolas - Perth, search here from local businesses in your area on LookLocalWA today! Are you a local business? Get your business listed listed on LookLocalWA today! Specialising in New Build Gable and Flat Roofed Timber Pergolas. Repairs. Alterations. Re sheeting and Painting your existing Structures. Also Custom Made Privacy Screens. From old to new within 7 days. Quality work & friendly service.